It features granite cliffs, lush forests and alpine meadows on the westside, and stark desert landscapes at the base of the eastside. Wildlife includes bighorn sheep, mule deer, black bear and mountain lions, hawks, eagles, and trout. The majority of total annual precipitation – in the form of rain and snow – falls in the Sierra Nevada. Snowmelt from the Sierra provides water for irrigation for farms that produce half of the nation’s fruit, nuts and vegetables, and also is a vital source for dairies, which have made California the largest milk producer in the country. With snowpack 200 to 300 percent of normal, the Tahoe area fire season will likely be delayed this year. Grass is the primary fuel for wildfires. It probably won’t be drying out until July and August. That it was wet this winter in California is an understatement. After four years of drought, the Golden State faced a whiteout of epic proportions. Heavy snow and winds pelted the Sierra Sunday, causing road closures and traffic delays. In the 1950s, California wildlife authorities used to fly over remote lakes and creeks in Yosemite National Park and deliver precious cargo: hatchery-raised trout. The policy was great for fishing enthusiasts. Several environmental groups returned to their natural habitat in the courthouse on Wednesday in hopes of securing Endangered Species Act protections for the Pacific fisher, a mink-like creature found partly in California’s southern Sierra Nevada mountains. Snow fell Monday in the Sierra Nevada’s higher elevations, where a weekend storm dumped several inches of fresh snow overnight. Snow was also reported Monday at Lassen Volcanic National Park and on Mt. Shasta. The Fish and Wildlife Service has stuck to its guns and is designating 1.8 million acres of mostly public California land as habitat critical for the preservation of the Yosemite toad and two frog species peculiar to the Sierra Nevada mountains. The leaves atop giant sequoias in the Sierra Nevada are better at storing water than those closer to the ground, an adaptation that may explain how their treetops are able to survive 300 feet in the air, researchers at American River College and Humboldt State University have found. The California drought is carving an unprecedented path of ruin through Sierra forests, killing trees by the millions and setting the stage for a potentially devastating wildfire season that’s already burning homes and closing freeways in the southern half of the state. State officials say Tuolumne County is leading the way with pilot project to remove dead and dying trees in beetle-ravaged Highway 108 neighborhood. Efforts to reduce wildfire risk and improve the health of California’s Sierra Nevada are getting a financial boost. California’s “frozen reservoir” is melting fast. Unusually high temperatures this spring have acted like a blow-drier on accumulated winter snows, despite a healthy boost during the stormy month of March. Trees in California are dying at the highest rate in at least 15 years, raising the risk of faster-moving and more-intense forest fires, according to the U.S. Forest Service. Twenty-eight million. That’s the estimated number of trees in California that were dead or dying in 2015 as a result of the ongoing drought, according to the U.S. Department of Agriculture. Among firs and cedars high in the Sierra Nevada, scientists are using an array of instruments to monitor the health of the forest, measure the snowpack and track the water that melts and seeps into the soil. … Already, as the winters have grown warmer, the snow has been melting earlier after storms pass. The northern Sierra has seen nearly double the average precipitation since the beginning of March. It may seem hard to believe after such a dry February, but some of California’s largest reservoirs have approached flood operations. The second Sierra snowpack measurement of the winter is Tuesday. January has brought much needed snow, but February may start a bit more slowly. The snowpack in the Sierra contains more water than any year since 2011 on this date, according to the California Department of Water Resources. A series of storms passing over Northern California are expected to drench residents in rain and dump up to 2 feet of snow on the northern Sierra Nevada, a precious water resource the state relies on in the spring, the National Weather Service said. It was almost shocking to see, but there, blanketing the ground off Highway 50 in the Sierra, was that elusive substance known as snow. This is Bean Meadow in Mariposa County in the Sierra Nevada foothills. 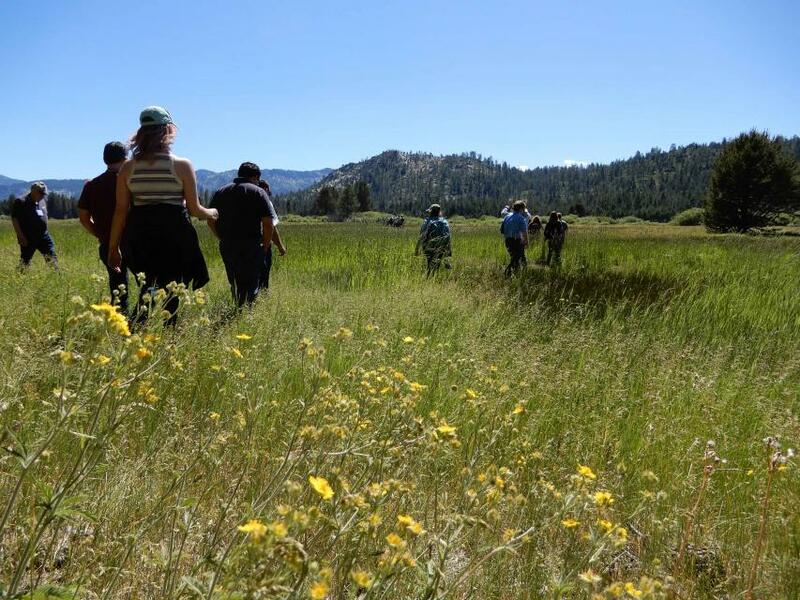 The [Sierra Foothill] Conservancy has embarked on a project to return 39 acres back to what it once was, before people built roads and ditches and turned it into ranchland in the 19th century. A massive storm, reaching across about half of the state, is expected to move in Tuesday and peak Wednesday, where it will drop up to 18 inches of snow on mountain summits from Shasta County and Lake Tahoe to Yosemite, said Nathan Owen, a meteorologist with the National Weather Service in Sacramento. A portion of the Mokelumne River in the Mother Lode may be one step closer to being declared “wild and scenic,” after Gov. Jerry Brown signed a bill late last week. Armed with evidence captured by surveillance cameras, California regulators have ordered a business to stop tapping Sierra Nevada spring water that is later bottled and sold in stores, officials said Wednesday. The Giant Sequoias in the Sierra Nevada are one of America’s treasures. But for the first time in the parks history the trees are showing visible signs of exhaustion due to the drought: thin and browning leaves. 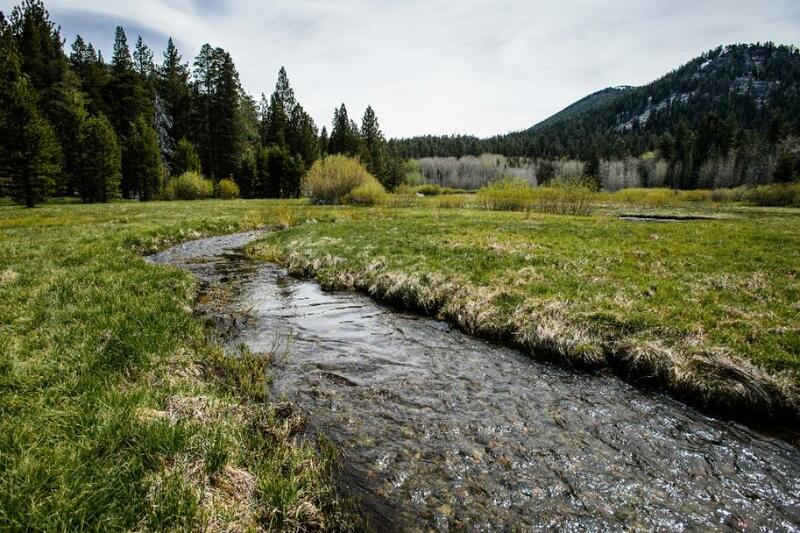 More than 10,000 acres of scenic meadows, forests and trout streams in the Sierra Nevada 10 miles west of Lake Tahoe have been preserved in a deal in which environmentalists hope to prove that thinning out overgrown forests can increase California’s water supply. This week and next the Tuolumne County Office of Emergency Services is holding six workshops so people can sign up to have water delivered at no cost in most cases. Fish concerns will force Tulloch Lake to drop sooner than water agencies had announced in a milestone spring accord, while construction work meant to ensure that 7,000 people won’t run out of water for drinking and fire protection has not yet begun. Frank Cody wasn’t surprised to learn that at least 12 million trees across California recently have died from a lethal mix of bugs and long-term drought. Business is booming for the South Lake Tahoe tree service business owner. In about 10 years, officials hope, the endangered yellow-legged frog will be abundant in the alpine lakes of Yosemite National Park. During the July 4 weekend, the U.S. Forest Service issued urgent instructions to hikers and campers to be exceedingly cautious in lighting campfires across California’s tinder dry Sierra Nevada mountain range. Californians trembled two years ago as 200-foot flames from the Rim fire sent up pyrocumulus clouds visible 100 miles away from the central Sierra Nevada. Burning from August to October, it left a charred footprint nearly the size of Los Angeles — a reminder that the state had just passed through two dry winters. As California’s prolonged drought dries up irrigation supplies for agriculture and forces cutbacks in urban water deliveries, it also creates opportunities for prospectors and miners panning, sluicing, chiseling and diving for gold. A U.S. Forest Service aerial survey in April found 20 percent of the trees in a 4.1 million acre area in the Southern Sierra were dead. In the Sierra Nevada mountains, North Fork Mono American Indians are working to thin the forest. For a lone, lovely month, it hasn’t much felt like a drought in the Sierra Nevada. Stream fishing around Lake Tahoe and western Nevada is struggling because of the drought. But fishing may actually be better at the lake itself. Lawsuits from environmental groups are snagging badly needed efforts to log forests in California’s fire-prone Sierra Nevada mountains, lawmakers and witnesses told a House of Representatives subcommittee Thursday. When Andy Wirth became the CEO of Squaw Valley Ski Resort in November 2010, he did so amid a precipitation-laden winter that saw enormous snow loads give skiers at Lake Tahoe plenty of coveted powder days. Since the area’s drought-aided dry conditions are prime for an active wildfire season, officials are touting preventive measures to stop fires before they start. Yosemite National Park will allow hikers up its iconic Half Dome trail this weekend — three-weeks ahead of the trail’s traditional opening — because of California’s drought. The peak of the Lake Tahoe wildflower season is typically somewhere around the middle of July, but, with remaining snow melting away and water in scarce supply, area blooms are off to an early start and may not last long. The North Tahoe-Truckee region’s three major water providers recently committed to follow state-mandated regulations as the drought continues to dry up the West. South Tahoe Public Utilities District’s (STPUD) hope to have mandatory water reductions reduced drowned on April 17 when the State Water Resources Control Board released revised numbers of California’s water districts. The latest U.S. Drought Monitor report shows that conditions worsened in the Sierra as California is in the midst of a fourth year of drought. The fourth year of the devastating drought that has dried up wells, forced mandatory rationing and jeopardized California crops has also put a burden on backcountry skiers in search of their powdery fix. The Sierra snowpack is a ghastly one-fifth the size of the smallest one ever recorded in the mountain range, state leaders said Wednesday as California’s storm season ended in disappointment for the fourth straight year. … Gov. Jerry Brown, who watched a snow measurement Wednesday at Lake Tahoe, announced the state’s first mandatory water reductions, aiming at cutting water use by 25%. Standing in a dry brown meadow that typically would be buried in snow this time of year, Gov. Jerry Brown on Wednesday ordered the first mandatory water cutbacks in California history, a directive that will affect cities and towns statewide. We are officially in uncharted territory. The Sierra Nevada snowpack, which typically supplies nearly a third of California’s water, is showing the lowest water content on record: 6 percent of the long-term average for April 1. Resorts like Sugar Bowl, Donner and Homewood are closing early. It’s hitting nearby businesses like Obexer’s General Store across from Homewood. A series of photographs taken at ski resorts in Northern California show just how grim winter has been. A massive die-off of pine trees in the southern Sierra Nevada caused by beetles attacking drought-stressed trees is turning forests brown and creating a fire tinderbox. Snow in California’s Sierra Nevada range typically reaches its greatest depths in late March, covering peaks like Yosemite’s famed Half Dome. Little new snow on the horizon means Lake Tahoe-area ski resorts will be doing well if they can stay open until the traditional mid-April close of the winter sports season. Last year’s legislation might have died, but the cause itself lives on. The plan, which involves about 12 percent of the total burned acreage, has drawn initial support from timber industry and environmental leaders. California received a double dose of bad drought news on Tuesday, with state officials saying the snowpack in the Sierra Nevada is far below normal and that residents again aren’t coming close to meeting Gov. Jerry Brown’s call for a 20 percent cut in water use. Water consumption statewide declined just 8.8 percent in January compared with the same month of 2013 – far below the state’s goal of 20 percent – according to data presented to the State Water Resources Control Board on Tuesday. A storm system heading to Northern California may bring only a fraction of an inch of rain to the Bay Area, but skiers and snowboarders turned desperate by the drought are stoked after learning that nearly a foot of fresh powder could fall in some parts of the Sierra. Snow’s a comin’ to the Sierra this weekend, which is news in this, our fourth winter of droughty discontent. This is the fourth lousy winter season in a row for the ski industry, and it has been economically devastating for the area. Some of the smaller resorts are barely hanging on, while larger players are carving out new ways to turn a profit. While residents’ efforts to conserve water are helping, officials say locals must continue such practices as a multi-year drought grips California and other western states with no immediate relief in sight. The lack of snow in the Sierra has prompted the cancellation of a major stop on the international ski and snowboarding circuit. It’s been an unusual winter so far at Truckee and Tahoe, with unprecedented dry conditions twice broken by “Atmospheric Rivers” that delivered prodigious moisture in short periods of time. With the state entering its fourth drought year, even some big resorts with millions of dollars in modern snow-making equipment don’t have all their lifts running. I [Kevin MacMillan] moved to the Tahoe in July 2007, meaning this is my eighth winter* here. “Winter” has an asterisk next to it because even I know, with my meager experience here, that what we’re currently enduring is (hopefully?) some sort of anomaly. Area ski resorts reported anywhere from 1 foot to nearly 4 feet of new snow following a pair of storms that slammed into Northern California. Because of the lack of snow depth, the U.S. Forest Service has asked snowmobile users in the Lake Tahoe Basin to avoid bare dirt and patchy snow, and not to ride across streams or over small trees and brush. Since its inception in the height of the Roaring Twenties, Old Brockway Golf Course has prided itself on its early-season openings. Two photos, one taken on February 1, 2014, and another taken on January 31, 2015, show just how much the Sierra snowpack was diminished over the last year.